Ramsay Highlander is a manufacturer of specialized harvesting aids for the vegetable growing industry. Ramsay stands at the forefront of labor-assisting harvest technologies and has introduced numerous innovative designs at agricultural expositions. Cited by numerous trade journals and publications, Ramsay Highlander is widely known for a nationwide and international client base. Ramsay Highlander is the recognized, industry expert in getting the most yields – per day, per season – from the labor and resources you have available. 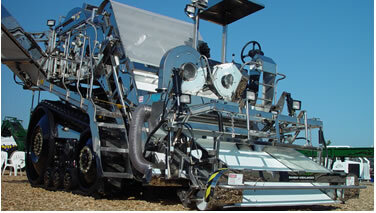 Ramsay Highlander is your first choice when researching new custom harvesting machinery. Ramsay works with you to design a harvesting system and a harvesting aid that’s built for your farm, your crop and your labor force.